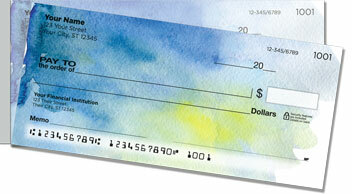 Splashes of watercolor paint appear to drip off this exclusive set of personal checks. 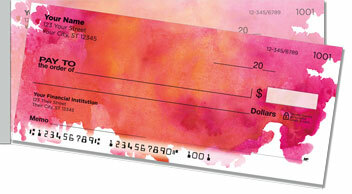 They'll give your checkbook a vibrant artistic touch! 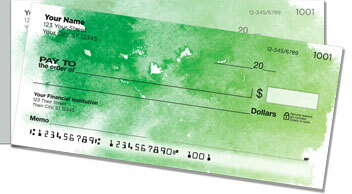 One check is soaked in deep purple, another features cool greens and blues and another shows a spattering of fiery orange and red. Watercolors Side Tear Checks are a unique way to add colorful energy to everyday activities! You'll appreciate how easy it is to pull side-tear checks from the pad. 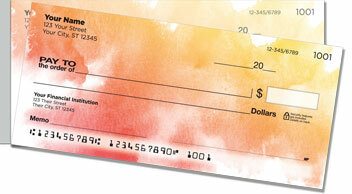 They are much less likely to rip in half, and that means you won't be wasting any more of your personal checks. Get your very own Watercolors Side Tear Checks right now! 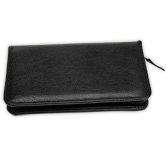 You can also order this creative selection as a set of matching address labels.